There’s a pretty popular saying out there that goes like this: “What other people think of you is not your business.” And while it makes total sense at a logical level, it took me a really long time to internalize that message and believe it in my bones. Like many people, I grew up in a pretty judgmental family and hometown, where people were constantly measuring each other (and themselves) against some invisible ideal standard of how people should be. What kind of job they should have, what their body should look like, who their partner should be. Many of us assume that other people are judging us and we try to conform ourselves to their opinions about who we should be. In this week’s episode, I want to talk about why we do that, why it’s a recipe for discontentment, and how we can start to catch ourselves when we judge ourselves and others. Ultimately, you are the only person you can control and the only person you need to please. Trust me: you’re better off listening to your own internal compass about who you want to be than internalizing other people’s opinions about who you “should” be. How growing up in a judgmental environment can make you judge everyone else – and yourself – more harshly. Why we spend so much time worrying about whether our life looks “right” to other people. What we can learn about living our lives for ourselves from people who are dying. Why other people’s opinions about you are their problem, not yours. How to deal with obsessive thoughts when we’re not getting something that we think we want. The circular relationship between judging ourselves and judging other people. How society and family teach us what it is to be good and acceptable to the crowd. How to start noticing your judgmental thoughts. Download my free e-book on the Think Feel Act cycle. Our human brains love to judge. There’s a part that’s evolutionary, we had to decide, often very quickly, if the person or animal in front of us was a threat or not. So we’re wired, in a way, to make these split-second decisions for our own protection. Luckily, most of us no longer live in caves scared of lion attacks, a perennial theme on this podcast, and we no longer need to judge everyone and everything constantly. But that doesn’t mean we’ve stopped doing it. When we live in constant judgment of others, we come to fear other people’s judgment, often because we make their judgments mean something about us in our minds. This can lead us to spend our limited and valuable emotional energy worrying about what other people think about us, instead of focusing on living our lives for ourselves. Sound familiar? Keep listening, my love. We’re going to get real about staying on your own side of the street and how to manage your mind to live with less stress and judgment. Hello, hello, my loves. I hope you are having a beautiful day. It is absolutely gorgeous here. It’s so funny living in the Northeast how it gets to be like, oh, 45, 50 degrees and everyone like busts out of the house in shorts like, you know, it’s July or something. And I’m one of them. I mean, I’m not walking around in shorts, but I have been spending as much time as I can on our roof deck because I need my sunshine. It was a weird long winter of staying indoors and I’m always glad to feel that sun on my face. So, I’ve been thinking a lot about judgment and that old saying, “What other people think of you is none of your business.” Gosh, that was a hard one for me. That was a hard one to get from just being a cognition, just a thought, into something I like felt in my body. I grew up in a very judgmental family in a judgmental part of the world – what’s up, Rhode Island. I’m Argentine and if you know form Argentines, we can be quite the judgmental bunch. There’s definitely a lot of judgment in my family and I learned at an early age to judge myself really harshly, which meant that I was then constantly judging others. My Abuela Alicia back home, god, she was a force of nature. She was constantly worried about what her friends would think, her friends in Buenos Aires, would think if my mom wasn’t taking us, in Rhode Island, to church enough or if my sister and I weren’t thin enough or if we played sports and got too athletic, which I think was code for, I don’t know, having big thighs or too much muscle or something. I don’t even know; these memories are like 30 years old now. But there was this constant critique, criticism, judgment of my body, my looks, like what I was doing with my life, whether I was successful or not. And I was in a school system that was really demanding, which I’m actually grateful for in a lot of ways because it taught me to be a super nerd. There I go bragging again. But it also taught me, again, to judge myself really harshly and really emphasize a lot of perfectionist tendencies within myself. And if anyone has seen my 10-color color-coded to-do lists, you know, it’s a thing I struggle with frequently to both get things done, get things done well, but not to really wallow in perfectionism and self-judgment to the point of making myself feel bananas. And I think what this really comes down to at its core is this issue of really focusing on other people and what other people think of us. What I hear a lot from my clients are worries about what other people think about their life choices, the things they say or do, whether their life looks right by other people’s standards. And sure, I mean, sometimes we all fret about what our boss is really thinking of our work or spin in little mental circles if you go on a date and the other person doesn’t call you back. Maybe you get concerned about a comment someone made or a weird look that a coworker gave you over lunch or what your neighbor will think if your yard doesn’t look completely perfect, or what people will say if you finally, I don’t know, get the divorce of your dreams. It could be that you’re seeing old friends next weekend and you start perseverating now over how people will respond to you and what they’ll think when they see how you look, what you do for a living, with whom you’re partnered, or why you’re still single. For so many of us, worrying about what other people think takes up an awful lot of brain space. For my patients with digestive concerns, hormone imbalance, or autoimmunity who are eating in new ways, ways that generally make them feel better, like avoiding gluten, dairy, soy, alcohol, caffeine, enjoying a social situation can feel really stressful since they’re not eating the way many of the people around them are. And while they feel better when they’re eating on their individual plan, so many folks worry about what others will think of their dietary needs. In short, there are hundreds of opportunities each and every day to worry about what others think of us. And when we’re judging ourselves harshly, we worry about other people’s judgment, and it almost universally leads to us feeling lousy. It can take years for us to learn that worrying about what others think and that changing ourselves for others never leads to true resounding sustainable happiness. And choosing what we’re going to do with our lives, how we’re going to live because we think it’s what someone else wants for us or what someone else expects of us or thinks is worthy of us can keep us from living into our dreams. My friend and colleague, Megan, is a great example. After years working as a nephrologist, a kidney doctor with an Ivy League education, she recently left her well-paying job as an attending physician to teach yoga. And I’ve got to say, in the 20 years I’ve known her, I’ve never seen Meg so happy. I mean, she beams with joy these days. She doesn’t look all haggard and tired and beat down like she did when she was working 12- or 24-hour hospital shifts, burning the proverbial candle at both ends. Is her mom thrilled with her choices? I doubt it. But Megan is, and at the end of the day, that’s what matters, that she’s living her life with joy. On the cellular level, our bodies know when we’re happy, when we’re living our dreams, when we aren’t rolling around in stress and anxiety, and our cells heal better. Our cells perform better. Our cells, I dare say, are happier. Studies show that living in our joy leads to increased longevity and easier recovery from everything from infections to cancer, which both makes a lot of sense and is pretty mind-blowing. Joy can help you live a longer happier life. Speaking of the end of it all, I was a hospice nurse at San Francisco Zen Center’s Hospice in Lower Haight. Never once in all those days talking with dying people did a single one turn and say to me, “You know, Vic, what I’m so happy about is I deferred my dreams and lived a life someone else wanted me to live.” Never once. The happiest, calmest, most centered dying people were those who focused their energy on doing what made them happy and put other people’s ideas about them aside. Man, I really miss dying people. They’re seriously rad. All my hospice nurses, what’s up, right? Like, seriously, dying people are the best. Okay, so, sorry, back to you and me. So we tell ourselves stories about other people all the time. That guy at the bar didn’t talk to me because he thinks I’m too loud. If I lose 20 pounds before my high school reunion, people will know I’m successful. My colleague dipped out of our lunch date because I said that stupid thing about hating puppies, it wasn’t even a good joke. Or this one, I pulled this one on myself not that long ago, my friend didn’t text me back because she decided I’m too needy. But the truth is, we have no control over how other people see and receive us. And most importantly, we actually have no idea what people are thinking or feeling about us, unless they tell us or we ask directly. And frankly, even then, it’s just what they said. Let me give you an example. I was working with this client, Caroline, who went on this terrific first date. She had a great time and felt amazing afterwards. The guy was everything she was looking for. And when he never called her back, she made up this whole story, convinced that the silence from him was all about her. She decided she wasn’t thin enough or funny enough or maybe she was too assertive. She felt like she’d screwed up the date and lost out on this awesome guy. Finally, through much coaching, she overcame her fears and assumptions just long enough to reach out and text him. It turns out, he hadn’t been in contact because he was painfully shy and had a history as a stutterer. As a child, he’d been bullied by the pretty girls and he’d made up a story of his own that Caroline was too pretty for him and there was no way she was interested in him, she was out of his league. If she hadn’t asked, she would never have known what was actually going on and would have stayed stuck and spinning in her own stories, letting her own happiness be dependent on what she thought someone else was thinking about her. Too often, people not only make up stories about what others are thinking, but take the further step of working to change themselves into what they imagine other people want them to be. They work longer hours, dye their hair, change their weight, stop speaking up in meetings all based on their assumptions about what other people want from them. And sometimes, these changes aren’t based on assumptions at all. Sometimes, people will tell you straight up that you should change, that your life would be better if only. And I want to say this really clearly, my live, other people’s opinions, expectations, and judgments of you are their own problem to manage, not yours. If someone else is judging you, it’s likely because they’re judging themselves and don’t know how to manage their own minds. Do you want to be spending your life’s energy trying to manage other people’s thoughts as though that were even possible? Stay on your side of the street, manage yourself, and let other adults take care of their own judgment and thoughts. Let them flow off of you like water off of a duckling’s back, my darling. You’re too busy managing your own amazing life to focus on the haters. Instead, send them love and compassion, because if they’re judging you, they’re doing something far worse to their own heart. And when you base change in your own life on the desires of other people, real or imagined, you’ve lost before you’ve even begun. Not only will the change never satisfy the critics, including your internal one. You won’t find true happiness in changing for other people. 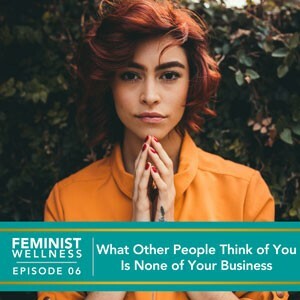 Here’s the thing, what other people think of you is none of your business. You can’t possibly know what other people think and you certainly can’t control it. Everyone has their own unique framework, seeing the world through their own lens and perspective that has nothing to do with you. One person will see your favorite outfit and think you’re a fashion icon. Another may see that same outfit and think it’s hideous. The one person who actually knows what’s best for you is you, and basing your life decisions on what other people think or want is a quick train ride to resentment station. The illusion is that happiness lies just on the other side of changing for someone else or putting someone else’s needs before your own. And what your brain may be secretly thinking is, “Then they won’t find me annoying and they’ll want to hang out with me, and then I won’t die cold and alone.” So, humans are pack animals. Evolutionarily, we evolved to make judgments, to think of the tribe first, to make sure we were towing the line so we didn’t get left to fend for ourselves on the mountainside. We’ve evolved a lot since then in a lot of ways, but this old line of thinking keeps rolling around in so many of our heads and can lead us to feel miserable when you change how you’re acting for someone else. And when these people-pleasing behaviors don’t lead to the joy you unconsciously promised yourself, you’re left with disappointment and resentment; a different kind of mountainside to suffer upon. I’ll also add that changing your actions, including how you speak, to try to change what someone else thinks about you or to try to appear a certain way is not living in rigorous honesty. It’s important to me to be honest in thought, word, and action. And if I try to change who I am, to speak or look or act some way because I think it will please someone else, that’s just not an honest way to live and it’s not something I’m here for. To be clear, I am not suggesting you should never change. Change and transformation are beautiful parts of life. But just be sure that you’re changing because you want to shift and grow, not because you’re telling yourself a story about who other people want you to be or because you’re listening to some jerk who is telling you who they think you should be. You can’t please everyone, but you can be perfectly you. If true happiness doesn’t lie in obsessing about other’s expectations and judgments, why do so many of us do it so often? There are a lot of reasons, ranging from the evolutionary one I mentioned already, to cultural norms, to experiences in our early childhood. Most of us have been taught that it matters greatly what the neighbors think. Our society teaches us all very clear messages about who we should be, how we should look, how we should behave. We are taught everything from what body types are desirable to what having a good or successful career is. Layered onto these myriad societal expectations is all that we are taught by our families and in our culture about what it means to be a good girl or a success. In addition to cultural and familial scripting, there can be a sense of comfort in believing that you can control what people think of you and that you can then meet those expectations. Although illusory, we desire the sense of safety we think can come from belonging to the it-crowd. We all have a reptilian part of our brain that’s focused on our survival. At some instinctual level, we fear that if we are judged and or rejected by people, we won’t be safe. We won’t be part of the pack that can protect us. We are wired, in a sense, to want people to like and to approve of us. Ironically, however, the things that really lead to connection with others are authenticity and vulnerability; pretty much the opposite of making changes to please others. In fact, if you think about the people that are closest and matter the most to you, the chances are you feel that connection with them because they are real and they enrich your life because they are being themselves and you can be yourself around them. You’ve gotten beyond superficiality and trying to impress one another. I mean, to be real, most people’s closest friend is the one they can call and talk to about, I don’t know, going on a first date and being worried about farting or having an urgent poop. I mean, do my other IBS warriors hear me? I mean, like, that’s your closest friend; the one whose judgment you’re not worried about because you’re never judging her. So, if evolution kind of made us think this way, and society, culture, family kind of made us think this way, what can we do about it? Well, the good news is that we can all change these patterns of grasping for other’s approval and worrying about what others think of us. The steps for letting these habits go starts with recognizing the thoughts you are having, what feelings those thoughts evoke in you, and what behaviors your feelings are leading to. This is thee think-feel-act cycle, the cognitive behavioral theory. You can read more about this model for changing patterns of thought in my free ebook, which I’ll link to in the show notes. Harkening back to our episode about becoming your own watcher. The first way to start to shift these thoughts is to start to notice your own judgments. As you’re walking around the world this week, are you looking at strangers and noting their flaws? Are you judging your coworkers, your family, your friends? Are you judging yourself? Your homework for now is to just start to notice these judgmental thoughts. Awareness is healing, and what you can’t see you can’t change. The next step is to begin writing down examples of your thought, feeling, and action patterns. For example, you might notice the cute girl asked you to sit with her at lunch, and that made you think she must like you, which made you feel happy and led you to acting more friendly and outgoing. Or you might notice that your boss told you she was too busy to talk right now, and that made you think she was dismissing your ideas, which made you feel tension in your body and anxious about your contributions to the company and led you to act more insecure around her. Once you start to see and recognize these patterns, you can then begin to pause and ask yourself, “Are these thoughts and feelings serving me?” For those thoughts, feelings, and actions that aren’t serving you, you can learn to rewrite the story, to choose new thoughts that make you feel calm, peaceful, present to the world, instead of judgmental or worried about things beyond your control like what other people think and feel. Because here’s the thing; your own thoughts and feelings can be changed and you have the power to change them. A super common phenomenon among those prone to worrying about what others believe about them is obsessive thinking. We replay a conversation over and over again. We can’t stop thinking about how things might have been different if only we had said it differently. Or we spin round and round about what another person is thinking. We make it all about us. For example, you can’t stop thinking about why nobody liked your Facebook post. You keep driving past your ex’s house in the middle of the night, or you read the text from your mom like 10 times, trying to figure out how you could have changed the outcome of the conversation. Awareness is the first step here too to recognize what you’re doing and how it’s impacting you. You might say to yourself, “Oh hey, I’m on that hamster wheel again of replaying this conversation over and over again and it’s being on the hamster wheel that’s making me miserable. I’d like to stop doing this.” You can then take a moment to figure out what you really need and want, and I like to ask myself, what’s the true desire behind this obsessive thinking? For example, if you’re worried about social media likes, the thing you really desire may be social connection. Or if you can’t stop trying to figure out why your date never called you back, maybe the thing you really need is reassurance that you are awesome, no matter what that date thinks. Do what you can to give yourself what you need, along with a healthy dose of compassion and comfort. Eat a healthy meal, go for a walk, take a bath, drink some water. Do some journaling about what you’re thinking and what you’d rather be thinking so that you can start to imagine what your future self can feel like now. Use whatever tools you have to care for your tender soul. Next, see if you can release those thoughts that aren’t serving you. I like an exercise that I heard first from Pema Chodran, this super amazing kickass Buddhist nun. So the exercise goes like this; close your beautiful eyes if you’re able and picture a bright blue cloudless sky. Imagine taking each one of your worries or unhelpful thoughts. What’s up with my Facebook likes? Will he ever call me? Is she about to fire me? And place each of them on a cloud and bring them into your bright blue sky. Name each one out loud, each worry, each fear, and then blow the clouds away and watch them float. Simply let it go. And now we can take this a step further. Bring a new cloud onto the sky and replace each of those unhelpful thoughts with a statement of gratitude. Name the things in your life that feed your soul and bring you joy. Reading a novel in a hammock, drinking tea in the morning, this beautiful sunshine, my dog, my niece, my life in Brooklyn. When you are able, gently flutter open your eyes and come back into the room. Finally, once you’ve reached in and recognized that you can give yourself the judgment-free, expectation-free love that you need, text or call a trusted friend who can offer perspective, care, love, compassion, and support. I’ll also say that realizing that you can’t control what other people think of you and that it’s really none of your business anyway can be so totally liberating. If you no longer need to worry about what other people think of you, you don’t need to change yourself to please them. In fact, while you can’t be everything for everyone, you can be true to yourself. All that energy that used to go outward to keep up with the Joneses and worry about the neighbors can be redirected inward. You can give yourself the care and attention that you really need by focusing on managing your own mind. After all, you’re really the only person you have control over and ultimately, the person you most need to please. By focusing first on yourself and by truly being who you authentically are, not who others want you to be, you can show up for yourself and your life, your dreams and your health first, and for the people who love you in a real, honest, and true way. 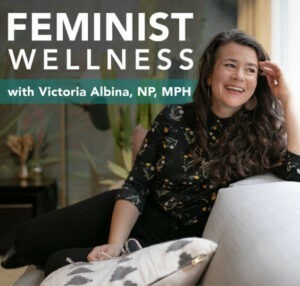 Thank you for listening to this week’s episode of the Feminist Wellness Podcast. It is as always, an absolute delight to get to share my thoughts with you, my love. I hope that today’s episode has been helpful and that you’re able to take the time to get really present with yourself and to see where you’re judging yourself and others and where you’re putting your thoughts about what other people are thinking of you ahead of your own joy. I want you to live a life you’re wildly in love with, and that starts with getting clear with what you want and need and giving it to yourself. Tune in next week to hear all about the condition formerly known as adrenal fatigue, my top 10 tips for turning the beat around on tiredness. Mad, that was great alliteration. And of course, my top supplement choices for beating the blahs. Man, I’m an alliteration queen today. If you’re enjoying the show, please head on over – I crack me up so much. If you’re enjoying the show, please head on over to iTunes to subscribe, rate, and review. If a show doesn’t have a lot of ratings, it doesn’t show up in the search on iTunes and so it’s harder for folks to find. And I want to share this free resource with as many humans as possible. To thank you for taking the time to leave a review, I’m giving away five sets of my handcrafted essential oil rollers. One to support energy and alertness, and one to help you relax, reduce stress, and sleep deeply. I’ll be giving those away to five lucky listeners who leave a review and email me about it. 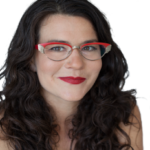 Head on over to victoriaalbina.com/itunes to learn more. And remember, when we heal ourselves, we help heal the world. Be well, my love. Until next time. Love to hear your approach to how to forgive ourselves and live a happy life after a trauma in our lives. Thank you so much and keep up the amazing work! !